The World Until Yesterday, by Jared Diamond, check out the great review from Chris Knight that we re-posted on the EF! Newswire. The Rebirth of Environmentalism, by Doug Bevington, 2009, Island Press. Click here for excerpts from, and comments on, this excellent book of the environment movements history, and how Earth First! and other no-compromise environmental groups shaped some of the most substantial victories ever won. Technological Slavery: The collected writings of Theodore J. Kaczynski, 2009, Feral House. Click here for the an in-depth review by the Earth First! Journal. The Heart of the Monster: Why the Pacific Northwest & Northern Rockies must not become an ExxonMobil conduit to the Alberta tar sands, By David James Duncan and Rick Bass. Published and distributed by All Against The Haul, 2010. Click here to see feature review. Sparking a Worldwide Energy Revolution, edited by Kolya Abramsky, AK Press, 2010. Click here to see feature review. We Are an Image From the Future, by Void Network, et al, AK Press, 2009. Click here to see article on the Greek insurrection of 2008 published in the 30th Anniversary edition of the Earth First! Journal, featuring this great book. 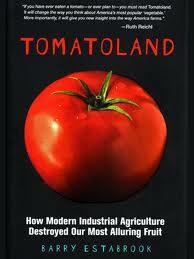 Tomatoland: How Modern Industrial Agriculture Destroyed our Most Alluring Fruit, by Barry Estebrook, 2011, Andrews McMeel Publishing. Click here for the full EF! Newswire book review, “One fruits story of modern civilization,” by Sasha. The Natures of Maps, by Denis Wood & John Fels, Chicago University Press, 2008. Featured review, “The Problem with Mapping the World,” by Sasha. Green is the New Red, by Will Potter, City Lights 2011. Check out the EF! Newswire’s feature review. Send us your short reviews of both current and classic books, films, music and other forms of art or media relevant to the eco-resistance for consideration on the Earth First! Newswire. We also post longer “feature” reviews on occasion. Contact us if you are interested in writing for this section at collective[at]earthfirstjournal.org. Please put “Newswire Submission” in the subject line. 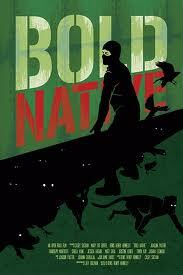 Bold Native, feature length fictional account of life underground with the Animal Liberation Front (ALF). Click here to read a review and interview with writer and director, Denis Henry Hennely, by the Earth First! Journal. If a Tree Falls: A Story of the Earth Liberation Front, click here to read an interview with Daniel McGowan, inspired by the film. The Last Mountain, directed by Bill Haney, Solid Ground Films, 2011. Official selection at Sundance Film Fest. Read our feature review by Sasha. The Big Trees, featuring Eve Miller and Kirk Douglas, read the EF! Newswire’s exclusive belated review, Armed Struggle for the Redwood. 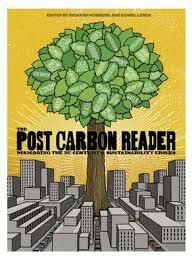 Reviews of environmentally-based, deep ecology-oriented, direct action-themed and Earth First! specific music can be e-mailed to collective[at]earthfirstjournal.org. Include “Newswire Submission” in the subject line. Reviews of periodicals and zines can also be e-mailed to the EF! Journal Collective at the above e-mail address. If you value these reviews from voices on the front lines of ecological resistance, help keep us around by subscribing or donating to the Earth First! Journal.